In the fast paced world that we live in the stress to do more is always tugging for our attention. Between evaluation tools and metrics, we as a society are driven by accomplishments and the mindset that more is always better. In Do More Better: a practical guide to productivity author Tim Challies looks into what it looks like to be biblically productive. From the title you may think that Challies is relegating his readers to a destructive work ethic where “more” is what is expected. But defining productivity as, “effectively stewarding … gifts, talents, time, energy, and enthusiasm for the good of others and the glory of God.” Continuing, he quotes Psalm 127:12, saying all our works apart from God are in vain. Throughout the opening chapters he develops this twofold (Good for others, glorifies God) biblical foundation for productivity and continues to unpack vocational calling and seeking biblical productivity in the following chapters. But doing more comes with some necessary cautions, first of which Challies addresses is the lore of busyness saying, “Busyness may make you feel good about yourself and give the illusion of getting things done, but it probably just means that you are directing too little attention in too many directions, that you are prioritizing all the wrong things, and that your productivity is suffering.” In the pursuit of doing more we unknowingly sacrifice quality on the altar of busy. In Challies’ pursuit to equip his readers to achieve biblical productivity, Do More Better clearly defines productivity and how to pursue it. With the resources at the reader’s’ fingertips they need through the website, inventory sheets, and action steps Challies accomplishes his goal of equipping the reader to do more better, and to do what matters most, do good to others and glorify God. If put into action these steps have the potential to be very effective in the reader’s pursuit of productivity. 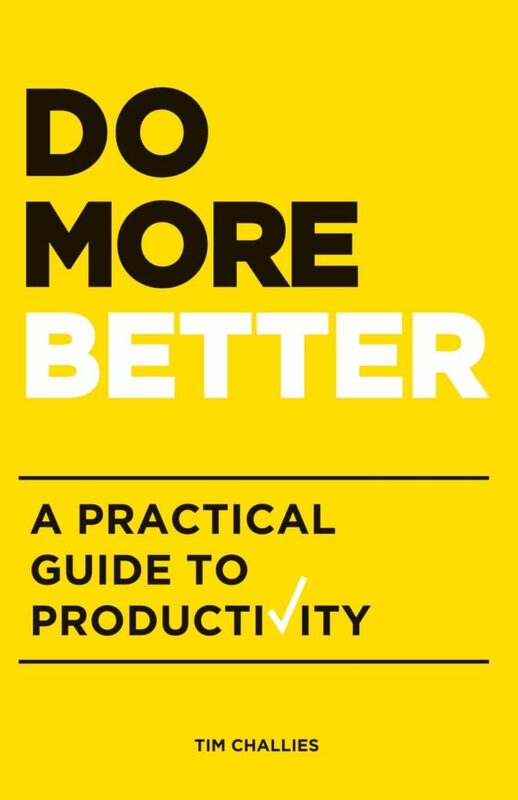 Do More Better is a quick read (only 120 pages) which allows readers to do more better, while not having to read an extensive 900 page corpus on productivity. Pick it up, apply the tools, do more better. The office of Human Resources is giving away a few copies of Do More Better click here to find out how you can register! Here at Southern we prize summer as a time to decompress after another strong academic year. The pace of life gets slower and allows for a lot of time with family and friends. We created this guide to help you make the most of your summer – whether you’re downloading a new app, reading a book, or hanging out with your family. Our hope is that this resource is a tool you can use this summer. 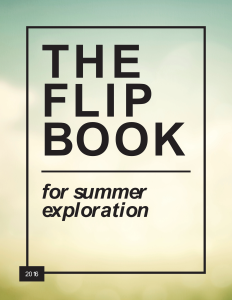 Click here to view the Flip Book.